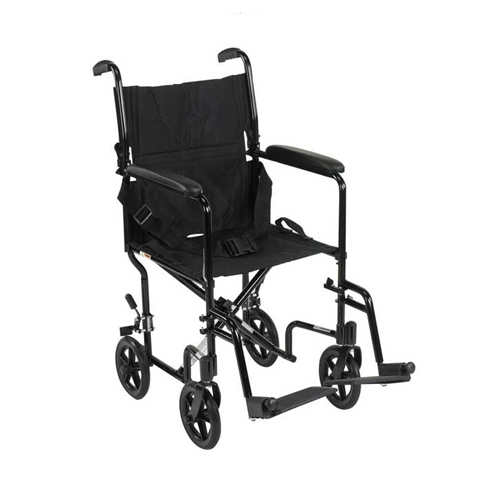 The Aluminum Transport Chair Wheelchair by Drive Medical is a high quality economical transport chair. 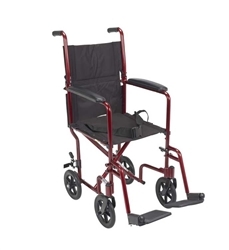 The frame is made of lightweight aluminum that is strong and durable. It has fixed direction rear 8” caster wheels and swiveling front 8” caster wheels that are maintenance free. Standard rear wheel locks provide additional safety and stability for the user. It has a maximum weight capacity of 300. pounds. 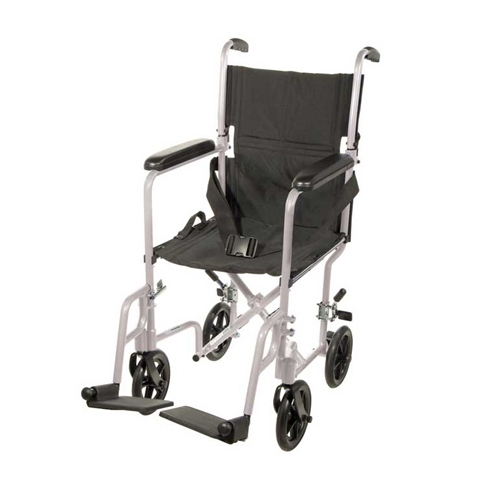 The Drive Medical Aluminum Transport Chair is available in either 17” or 19” seat widths. The attractive nylon upholstery is durable and easy to clean. The back folds down for storage and transport and it comes with upholstery handles to fold the chair. It comes standard with swing away footrests for ease of use and padded armrests for added comfort. 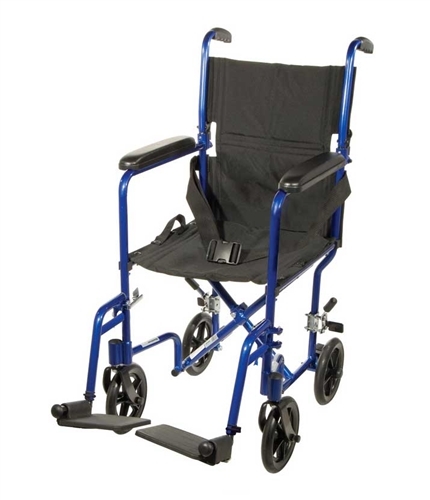 The Steel Transport Chair is also equipped with a fastex type seatbelt that is easy to fasten and unfasten.